Cultural project unites the world in the 8th Celebration of Thai Silk. The 8th celebration of Thai silk brought together more than 35 countries with the participation of designers, models and production personnel of international standards; Panama could not miss out, and as a part of the Cultural Exchange Program from the Embassy of Panama in Thailand, it achieve its 3rd consecutive participation, highlighting Panama’s development in its fashion industry. From the 1st to the 4th of December, the charm of Thai silk was celebrated in the heart of the Amazing Thailand. The inauguration ceremony took place on December 1st, which was chaired by Prime Minister Prayut Chan-O-Cha and had the parade of representatives and members of the diplomatic corps. 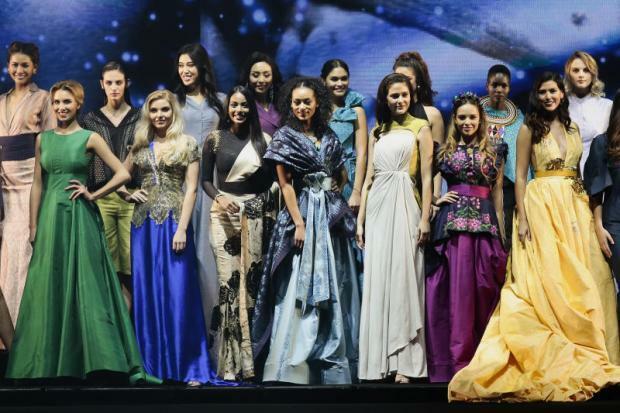 The Panamanian tricolor was represented by the designer Michelle Nassar, who made the first Thai silk collection made by a Panamanian, and the international model, Laura De Sanctis, who is former Miss Universe Panama 2017. The delight continued on December 3 at the Eden Zone (Central World), in the framework of Silk Thai Fashion Week, where Mexico, Panama and Peru offered their silk confections more closely to an audience that reached more than 800 thousand people during its live broadcast. The presentation of the original silk collection was made to an audience composed of international media, members of the diplomatic corps, expatriate Panamanians, the Latin American community, students of the FAS exchange program and friends from Panama. Laura de Sanctis was the luxury model in Panamanian participation in the “1st International Silk Fashion Week”, who was extremely grateful for the reception of the audience and the high level of execution of the project. The main objective of this celebration is to pay tribute to the work done by Her Majesty, Queen Sirikit, who has promoted the textile industry based on an indigenous product, which is Thai silk, in a self-sustainable way for regions that have the natural resources and the capabilities to make the most sought-after pieces in silk. This in turn encourages the fashion industry which is linked to tourism taking into account the regional prestige that Thailand has. Miss Panama 2017, Laura de Sanctis with a team made up of staff from the tourist assistance foundation and student guides in the real silk project located in Ang Thong. This project was carried out thanks to the sponsors and sponsorships offered.